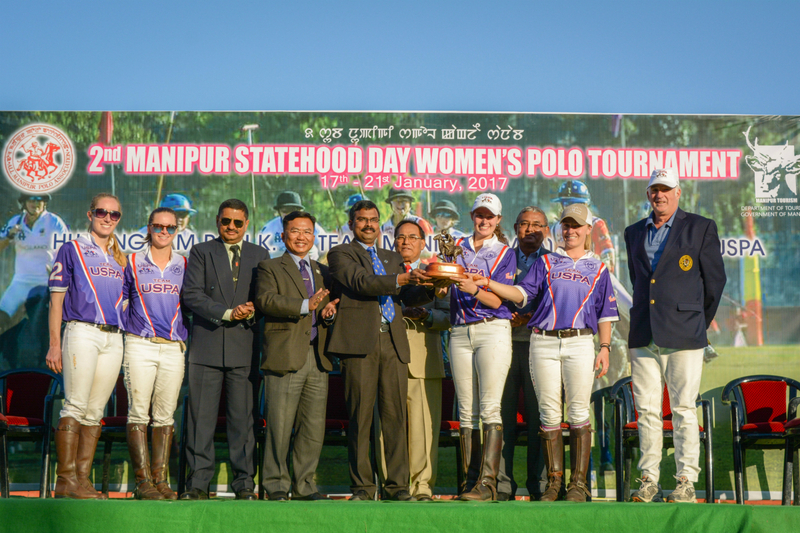 2nd Manipur Statehood Day Women’s Polo Tournament Champions: Team USPA – Stephanie Massey, Audry Persano, Anna Winslow and Carly Persano pictured with Manipuri dignitaries and USPA Governor at Large Steven Armour. The third chapter of the India International Women’s Polo Tour 2017 was composed of a weeklong tournament in Imphal, Manipur, India. The 2nd Manipur Statehood Day Women’s Polo Tournament presented by the All Manipur Polo Association (AMPA) and the Manipur Department of Tourism concluded on Saturday, January 21, with a solid 9-3 Team USPA triumph over Hurlingham Polo Association (HPA) to capture the trophy at the historic Mapal Kangjeibung Polo Grounds located in the heart of downtown Imphal. 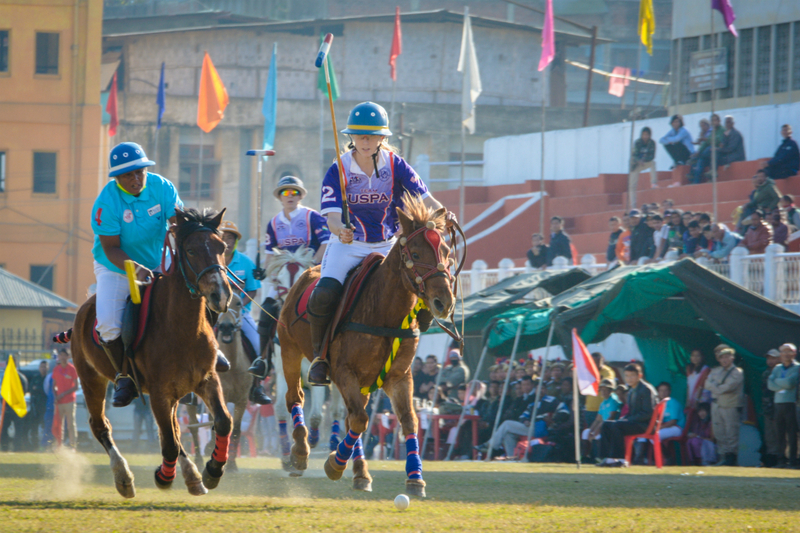 In Team USPA’s first game of bracket play, Stephanie Massey carries the ball downfield, an All Manipur Polo Association player in pursuit. An undefeated Team USPA narrowly beat the AMPA home team 7-5 in their first game of bracket play. AMPA then went on to suffer a second defeat, losing to Hurlingham Polo Association (HPA) 8-4. In Team USPA’s second game of bracket play, they garnered an easy victory over HPA 16-9 securing their spot in the final. 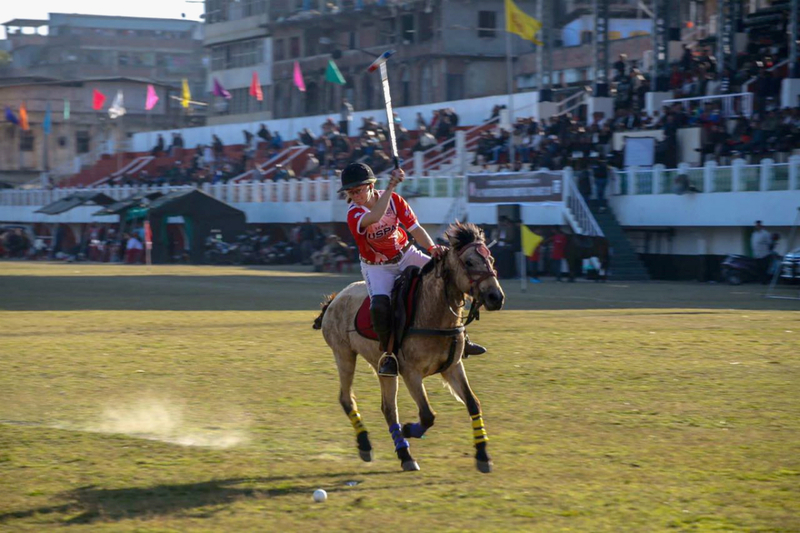 Team USPA’s Audry Persano with a backshot in front of a packed crowd at the Mapal Kangeibung Polo Grounds Stadium. In the final match, Team USPA shot into a commanding lead with five unanswered goals, four combined goals from sisters Audry and Carly Persano and a goal from Anna Winslow. Team USPA’s Carly Persano scored yet another at the beginning of the second, which was answered by Sarah Hughes to put HPA on the board 6-1. HPA fought back in the third with great defensive strategy keeping Team USPA at bay. Goals by Charlotte Sweeney and Annabel McNaught-Davies closed the gap 6-3 going into the final chukker. Team USPA rallied in the fourth with three goals to cement their lead and victory against HPA with a final score 9-3. Team USPA’s Carly Persano keeps an eye on Sarah Hughes of Hurlingham Polo Association as the ball is knocked in. 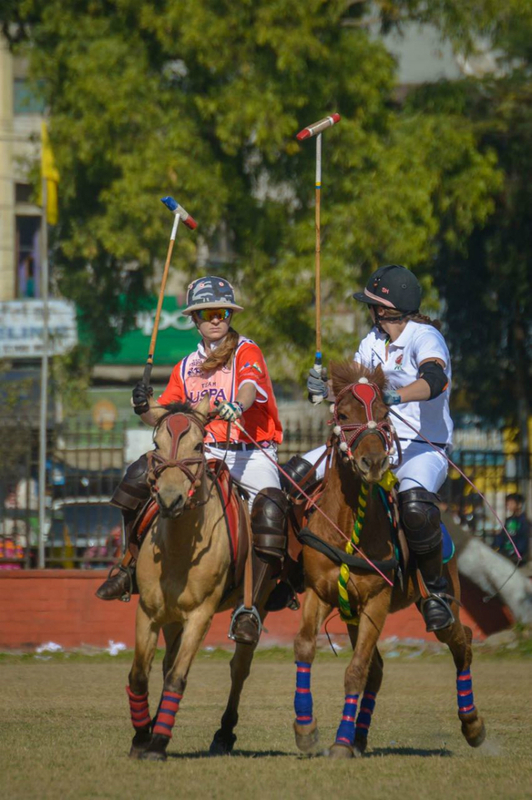 “Usually playing a finals match would make me a bit nervous, especially since we didn’t know all the ponies we would be playing, some we had never sat on previous to the final,” said Team USPA member Stephanie Massey. “Despite this, I was very confident going in, and knowing that Team USPA would have a successful outcome in the final against HPA. Over the course of the trip, I was so impressed with the camaraderie displayed by my teammates and our ability to mesh so well and play together as a team,” continued Massey. 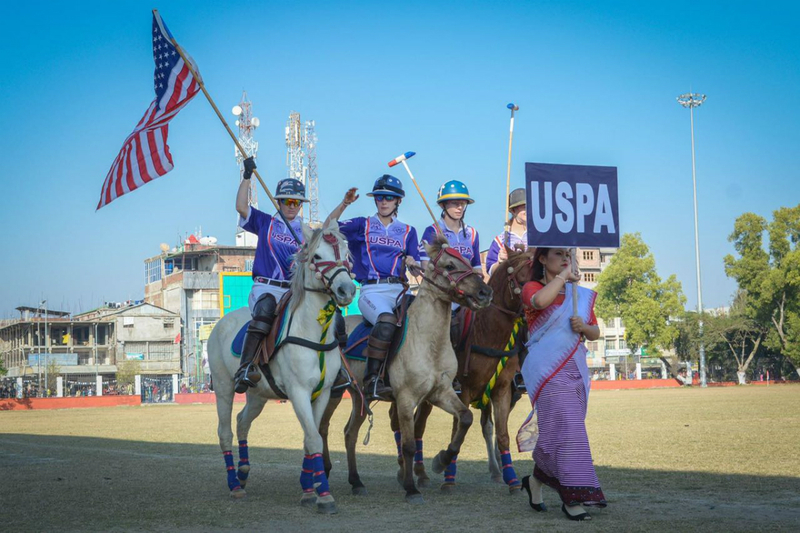 Team USPA walks in the opening ceremony procession for the 2nd Manipur Statehood Day Women’s Polo Tournament. Group photo with all three teams participating in the 2nd Manipur Statehood Day Women’s Polo Tournament – Team USPA, Hurlingham Polo Association and All Manipur Polo Association. 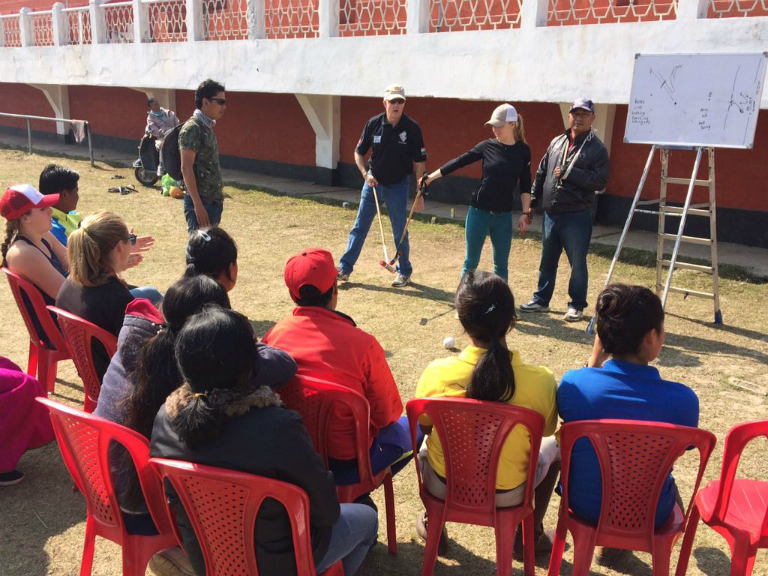 Team USPA member Carly Persano and USPA Governor at Large Steven Armour demonstrate different game strategy to a captive Manipuri audience. 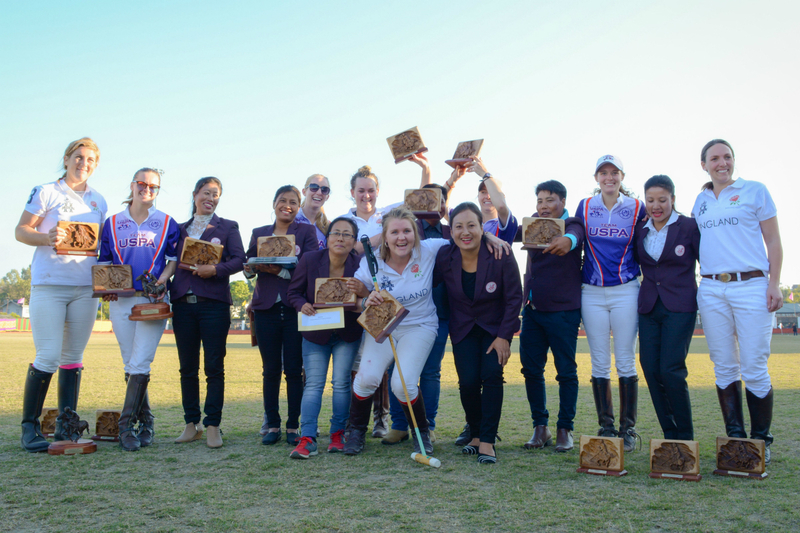 The Team USPA members held polo clinics for the Manipuri women’s players which included, among other activities, a whiteboard strategy discussion and a polo wrapping lesson. 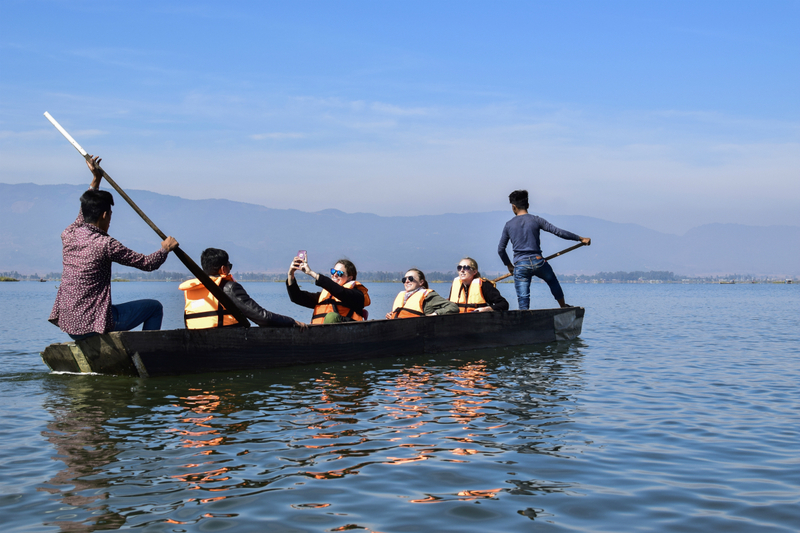 Off the field and outside of polo competition, Team USPA visited the Shree Govindaje Temple, enjoyed a boat ride on the picturesque Loktak Lake and participated in a Manipuri cooking lesson. Team USPA members also took advantage of the opportunity to visit a local village polo club and toured the Manipuri pony breeding farm. Team USPA members Anna Winslow, Carly Persano and Stephanie Massey enjoy a day off of competition on the majestic Loktak Lake in Manipur. All photos courtesy of the Manipur Department of Tourism.